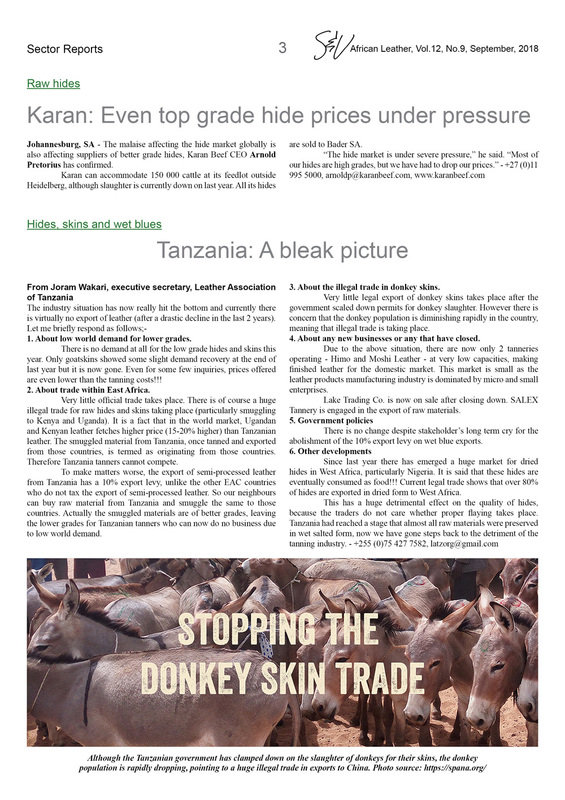 - Raw hides: Karan says even top grade hide prices are under pressure. 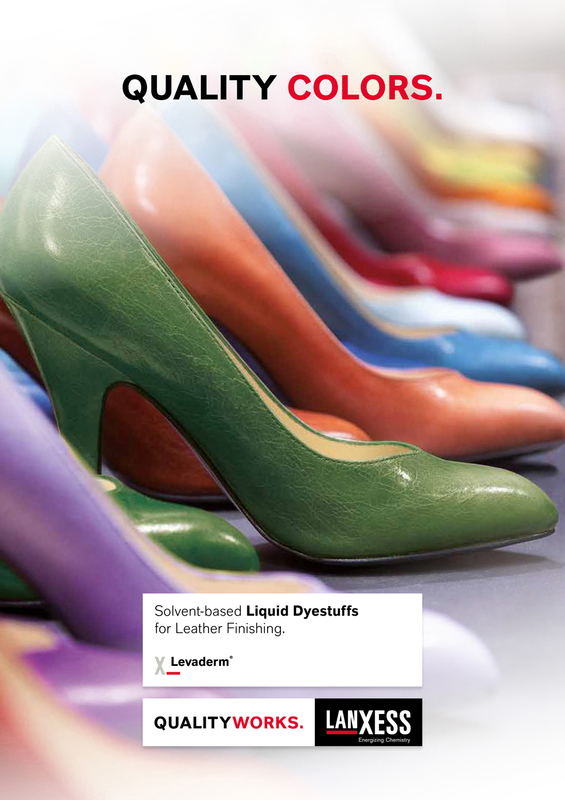 - Hides, skins and wet blues: Leather Association of Tanzania paints a bleak picture. 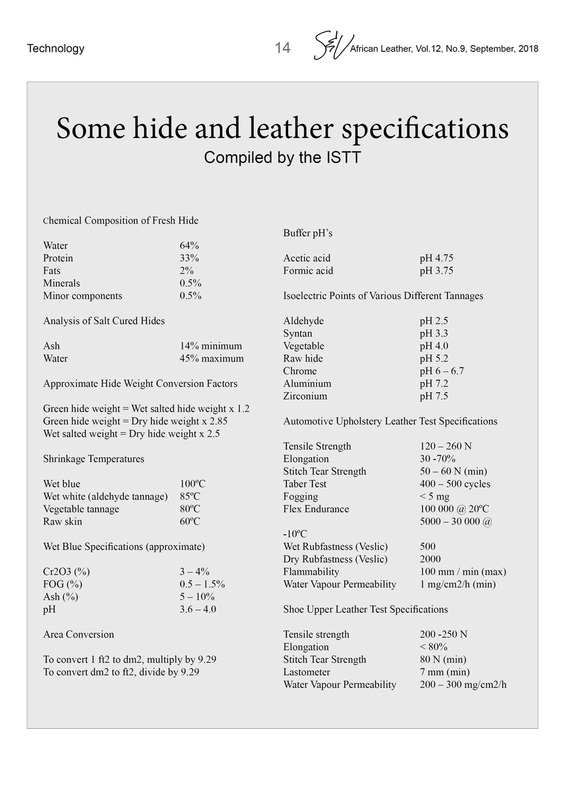 - Suppliers: Teifel changes its name. 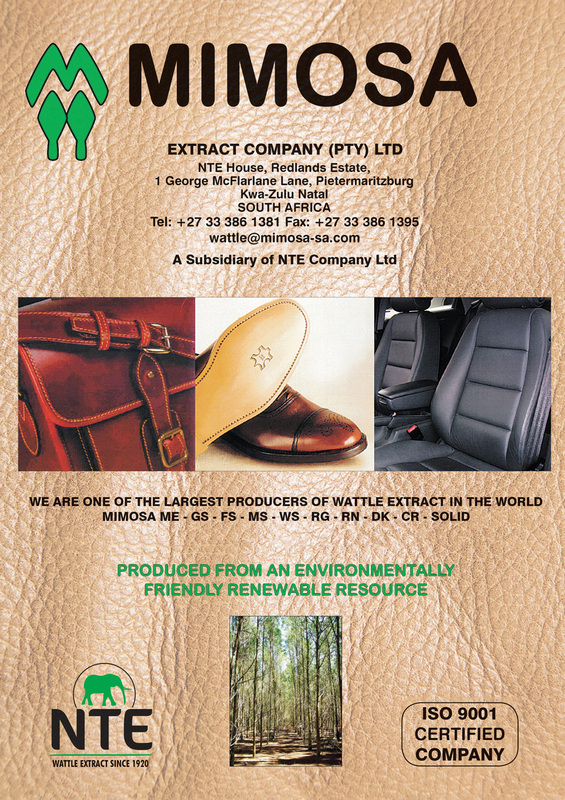 - Sheepskins: Karoo Natural Fibres sold, renamed as Woolmax. 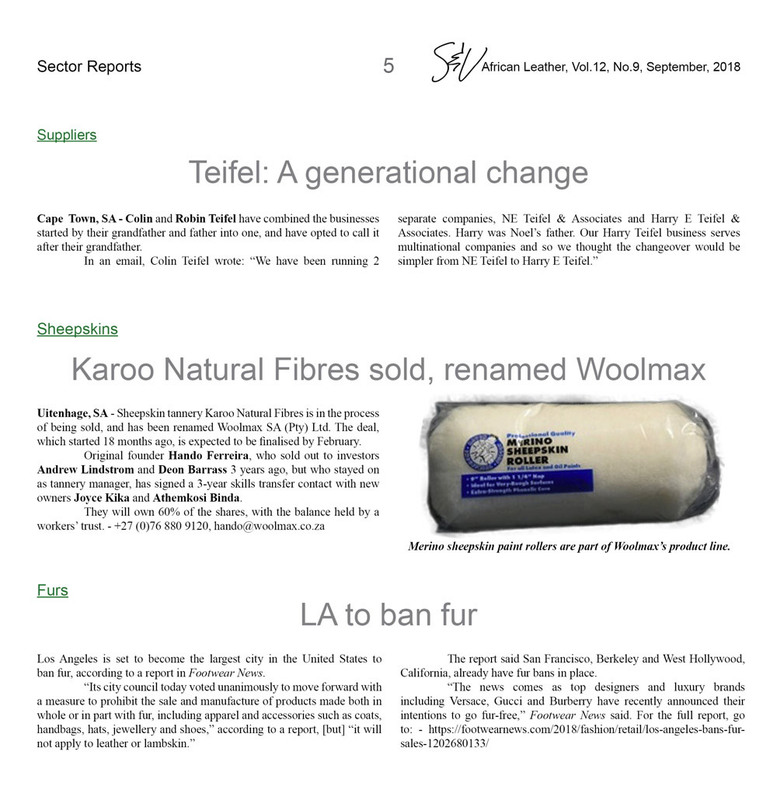 - Furs: Los Angeles to ban fur manufacturing and retailing. 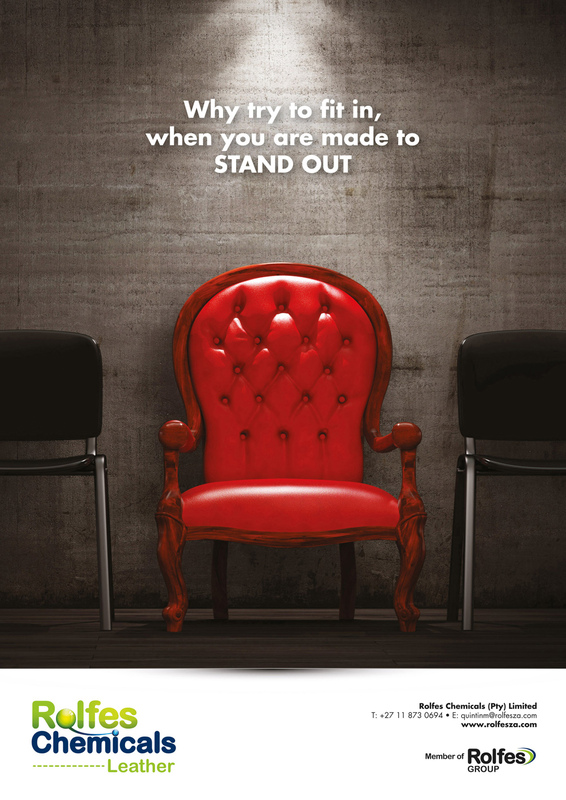 - Furniture upholstery: Hannitan develops new products, increases exports to offset tough conditions. 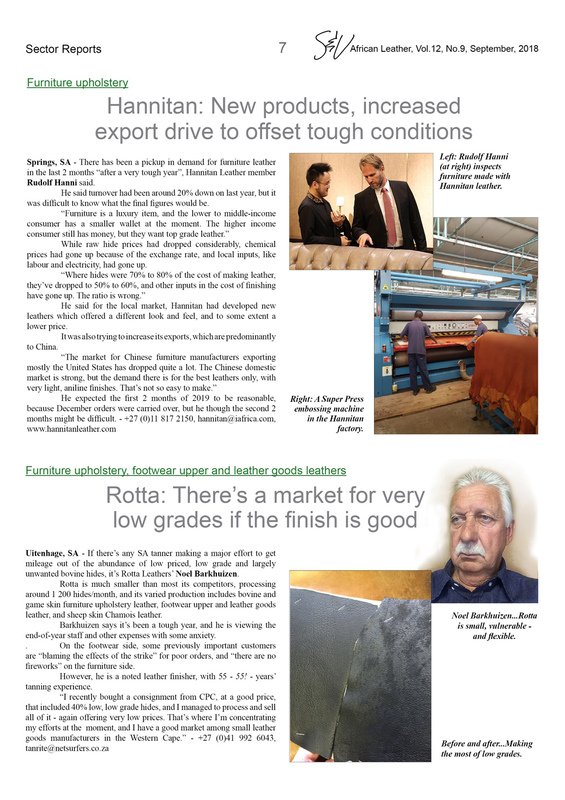 - Furniture upholstery, footwear upper and leather goods leathers: There's a good market for low grades if the finish is good, says Rotta. 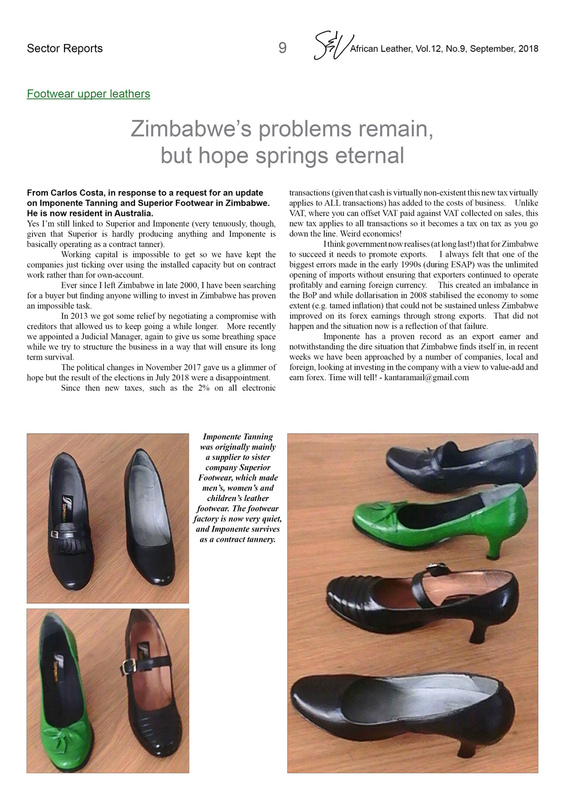 - Footwear upper leathers: Zimbabwe's problems remain, but hope springs eternal, says Carlos Costa of Imponente Tanning and Superior Footwear. 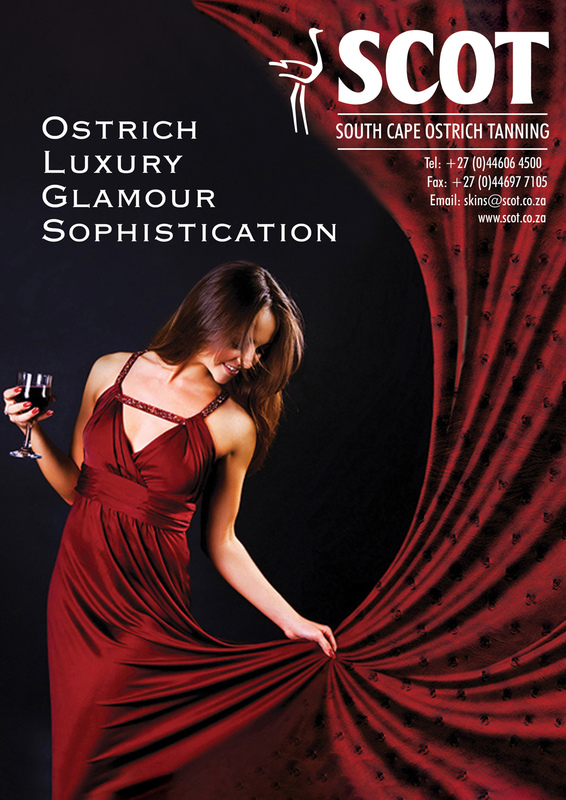 - Ostrich and crocodile: South African exotic leather and the changing fashion industry, by Frik Kriek of SCOT. 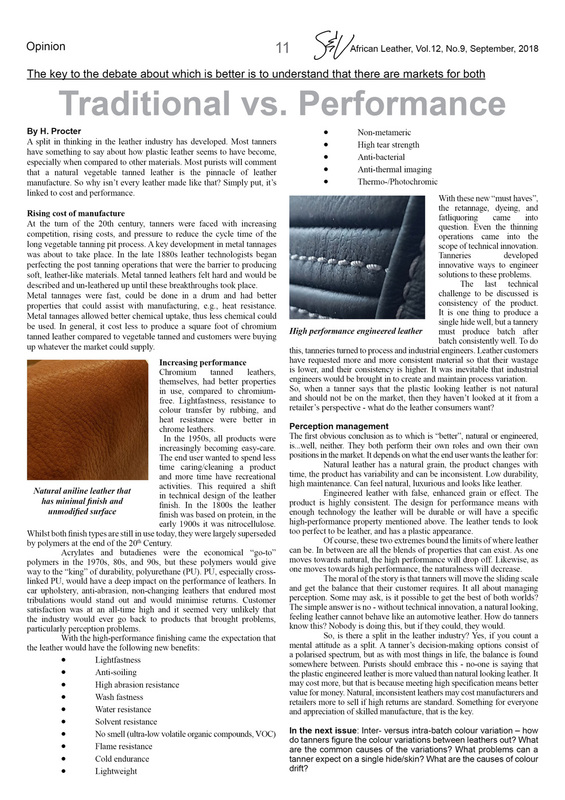 - Columnist H. Proctor writes about the different roles for traditional and high performance leathers. 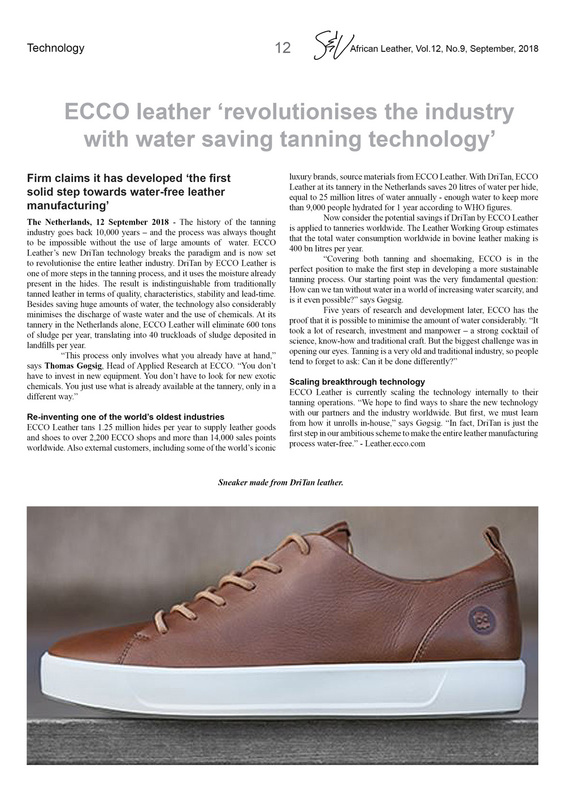 - Ecco leather 'revolutionises the industry with water saving tanning technology'. 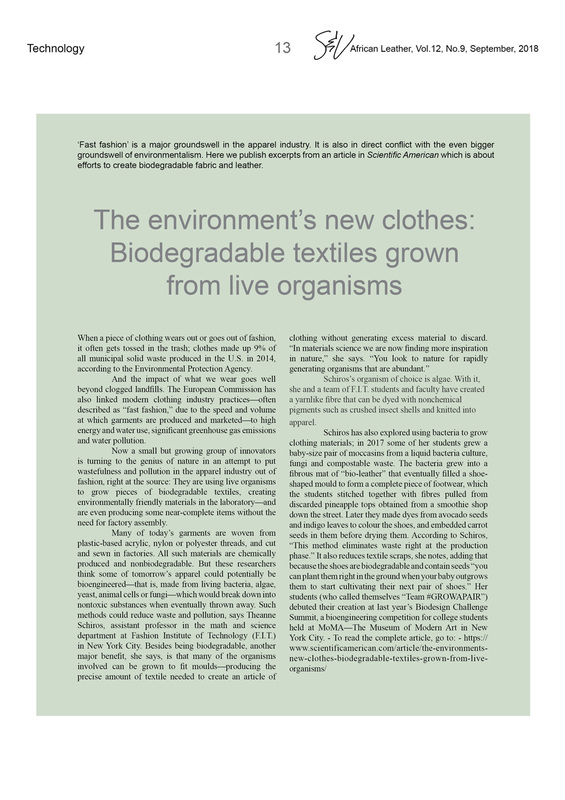 - Biodegradable textiles and leather - extracts from an article in Scientific American. - TFL successfully finishes REACH registration process. 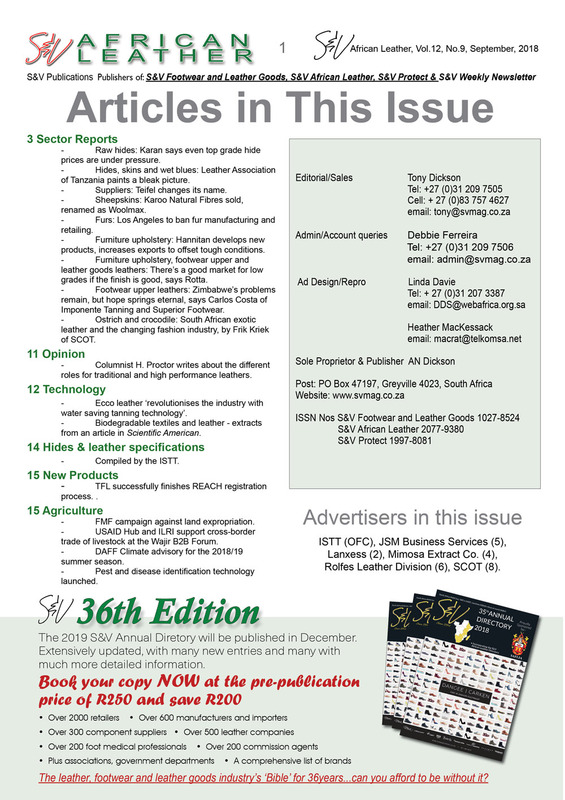 - FMF campaign against land expropriation. 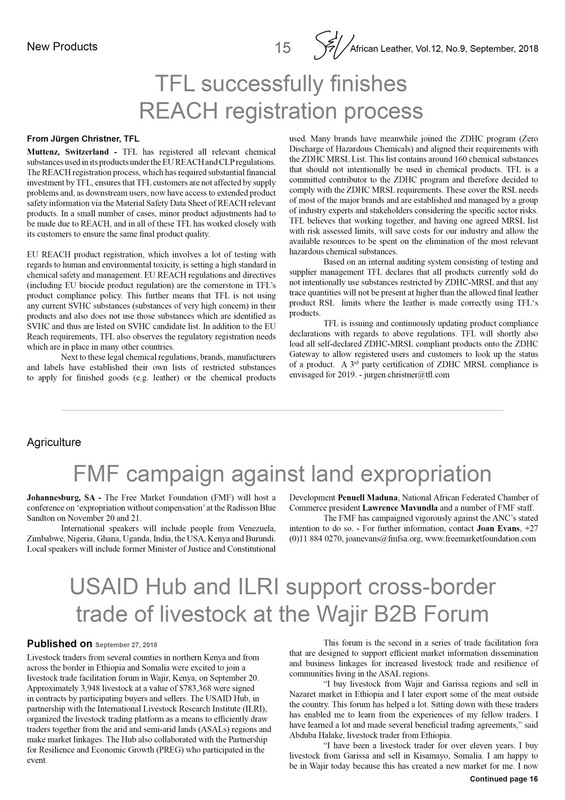 - USAID Hub and ILRI support cross-border trade of livestock at the Wajir B2B Forum. 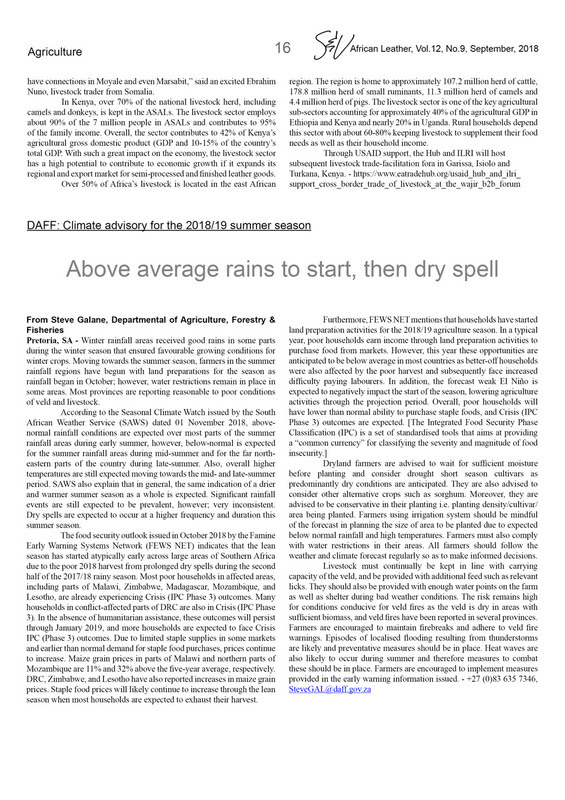 - DAFF Climate advisory for the 2018/19 summer season. 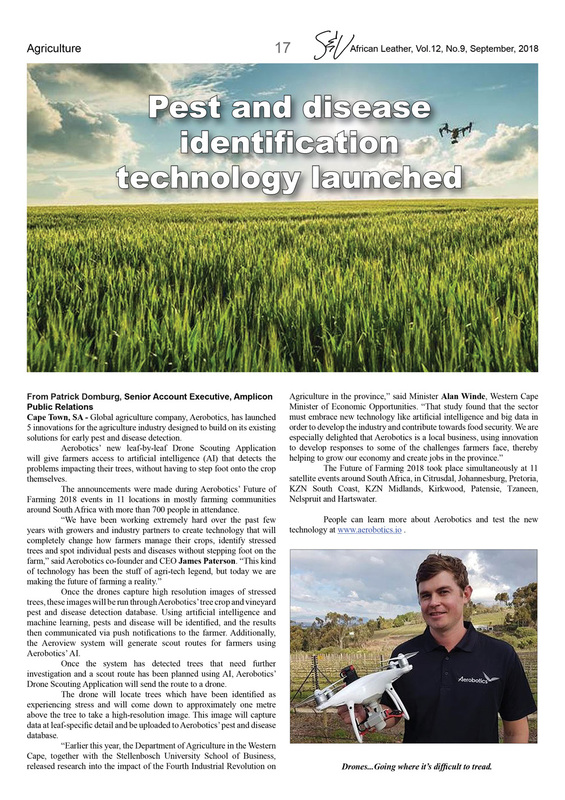 - Pest and disease identification technology launched. 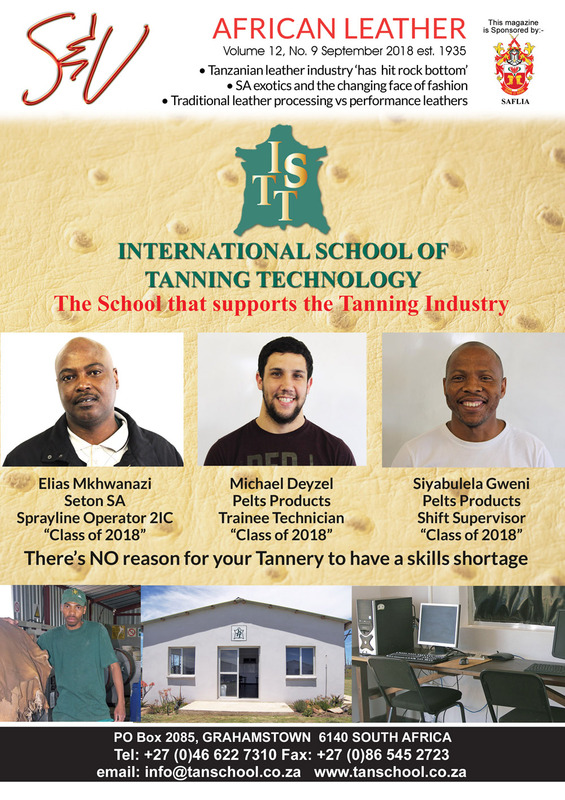 ISTT (OFC), JSM Business Services (5), Lanxess (2), Mimosa Extract Co. (4), Rolfes Leather Division (6), SCOT (8).